Biharis in a position to remember the smells and flavours of their breakfasts from the 1950s-60s, may jump at the mention of Polson butter. It may please them to know of a very intimate connection between Pestonji Edulji Dalal, the founder of Polson butter and Patna. A dynamic young Parsi named Pestonji Edulji Dalal, aged 13 in 1888, started a small shop in Bombay to roast and grind coffee. 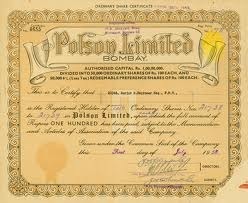 According to Ruth Heredia’s ‘The Amul India Story’, Dalal’s nickname was Polly, which he adapted into the British sounding Polson’s as brand name. Polson’s coffee soon got regular customers among the British and by 1910 Pestonji was well established and looking for new opportunities. So when a customer in the Supply Corps told him of the problems the army had in getting its supply of butter, Pestonji found his mission in life. He set up a dairy in Kaira, Gujarat and used his army and railways contacts to ensure that Polson’s was so widely supplied that it became synonymous with butter. 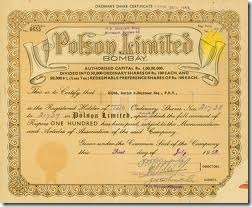 By 1930 Polson’s had opened the most advanced dairy plant in India and dominated the butter business. But as Heredia’s book points out, it was his ruthless dominance that caused Polson’s downfall, since it provoked a Gandhian called Tribhuvandas Patel to organise a co-operative in Kaira in 1946. The cooperative idea was also supported by Vallabh Bhai Patel, the Congress stalwart. This cooperative eventually turned into Amul. But that’s another story! Having lost ground in Bombay, what did Pestonji turn to? He came all the way to Patna and started a butter factory in Digha. This was not an abrupt arrival – he was well aware of the steady supplies of milk he could depend on in Patna and neighbourhood! Polson, the big rage of Bombay turned into a Bihari favourite in the 1950s-60s. Chroniclers of those days mention that it was common to use the word ‘polsoning’ instead of buttering or makkhan lagana during that period. Unfortunately, Polson wound up in the 1960s when Pestonji’s got too old to run the business and his son decided to settle abroad. But now when a very old man tells you ‘polson lagane ka koi fayada nahi’, you know what he means! Hat Tip to article: Jimmy Kumana.